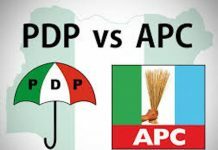 Suspected hoodlums at the weekend attacked the campaign train of the Social Democratic (SDP) candidate for the Ondo State House of Assembly, Akure South Constituency II, Mr. Ebenezer Adeniyan. 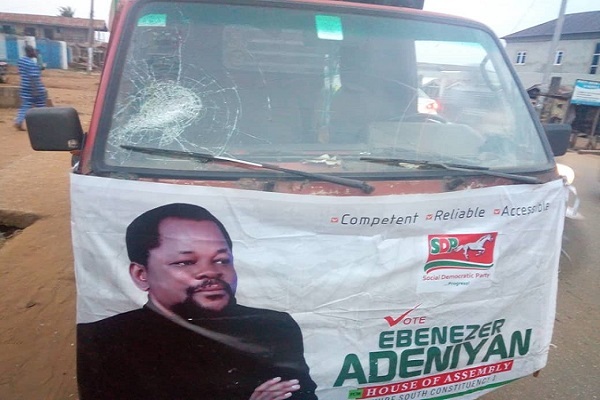 Adeniyan’s campaign train was reportedly attacked, at Oke Aro, Akure, the state capital during a tour of some wards of the town preparatory to the March 9 House of Assembly election. The action of the suspected hoodlums disrupted the campaign activities of the candidate as the attackers who shot severally into the air, damaged some vehicles in the train. An eye witness said the hoodlums “were all armed with dangerous weapons including guns and matchetes. We were on the tour of two wards in the constituency area. And at the end of the tour, we went to Oke Aro to meet a political friend. “Unfortunately, on our way back, we made a brief stop at the Abiodun junction to greet some community leaders. But as we were about to take our leave, the three masked men came running towards us from the street, and smashed the windscreen of our music truck. “They shot into one of our branded cars through the windscreen but the courageous people in the area gave them a hot chase. Immediately, they flew the area and starting shooting in the air to scare people away and ran away in same direction through which they came”, he said. Reacting to the attack, Adeniyan expressed great shocks and grief at the damages done on his campaign vehicles by the hoodlums. Adeniyan said he suspected his opponents for the attack because of his chances, stating that the attack had been reported at the B Division Station of the Ondo State Police Command in Akure. 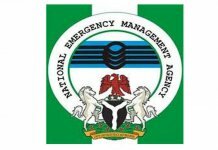 On his part, the Police Public Relations Officer (PPRO) for the Ondo State Command, Mr Femi Joseph said the Commissioner of Police , Mr Udie Adie had ordered investigation into the matter. 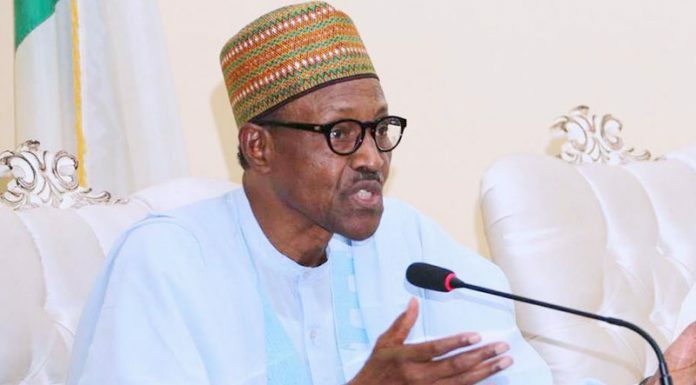 He said the command had told politicians to always inform the police before embarking on any campaign so that the police can give them protection.